$5,000 FOR BUYER'S TO USE TOWARDS UPGRADES. Shoals Landing is a new gated community in Irmo. 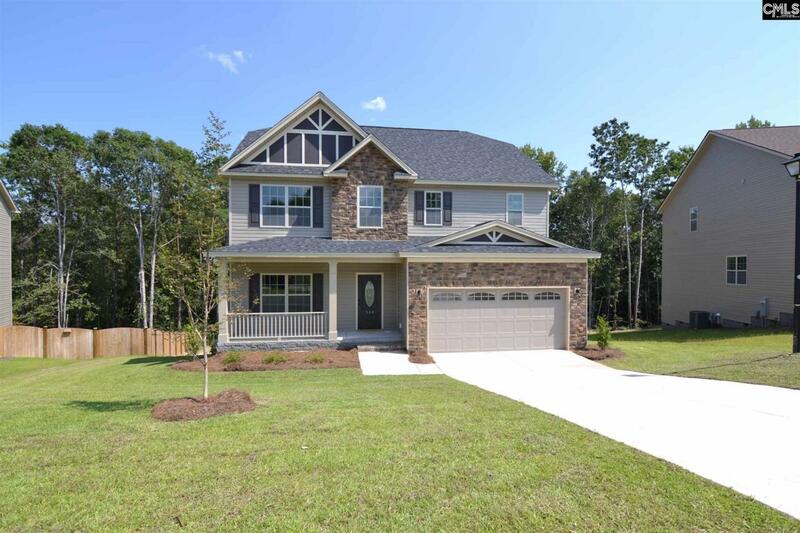 Located in the heart of Irmo, this brand new home is convenient to Publix, Lake Murray, shopping, restaurants, and I-26. Stunning open floor plan. Home features hardwoods throughout the downstairs and tile in the bathrooms and laundry. Foyer leads into formal living/dining room area. A half wall separates the formals from the great room. Beautiful kitchen with stained wood cabinets, granite counters, black appliances and large pantry. Eat-in area large enough for a dining room table. Back door leads to a covered porch, perfect for grilling. Huge laundry room off of garage. Master suite upstairs with a sitting area, great for reading books, work out area etc.. Also features a private bath with garden tub, separate shower, double vanity with granite counters and a walk-in closet. 2 other bedrooms have walk-in closets. Tankless water heater, Trane hvac unit, and irrigation in the front and back are standard. Home currently under construction.